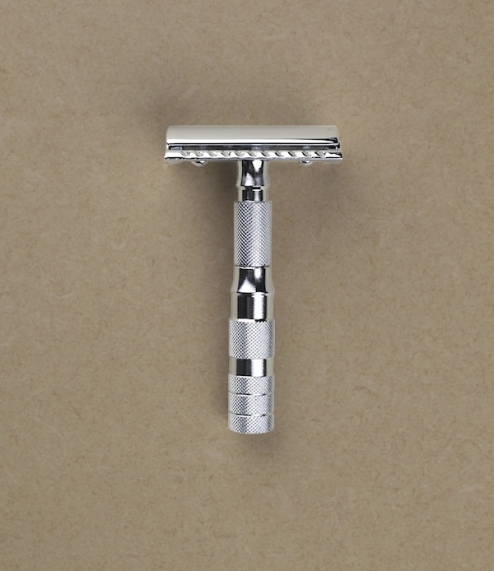 A long handled chrome plated straight cut closed comb safety razor from Merkur of Solingen. 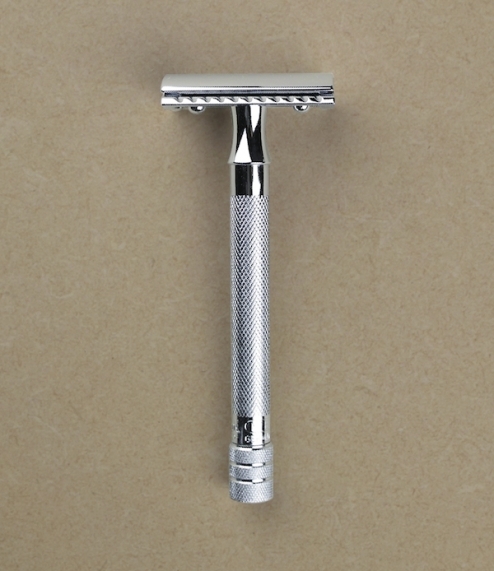 Since the 1900s Emil Hermes which eventually took the name Merkur has been producing what are now recognised as some of the worlds finest safety razors and shaving accessories. 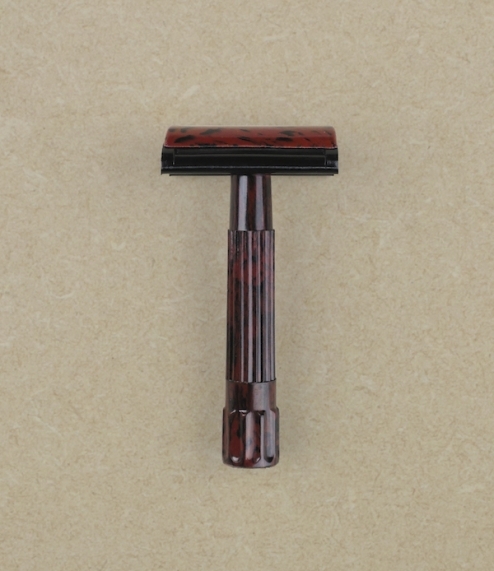 This beautifully machined and finished double edged razor features a classic 3 piece design, and longer, 98mm, knurled handle for better grip and delicate control.